It would be hard not to be aware of the huge changes sweeping through the Middle East and North Africa these past two years, and with so many spectacular and dramatic events still unfolding, it’s no surprise that more mundane issues such as education never grab the headlines. Yet education will be one of the foundations of both democracy and a modern economy in the region. As the OECD’s International Migration Outlook 2012 shows, education is now an international affair, with international students accounting on average for more than 6% of all students in OECD countries. In the UK, the figure is over twice that, 15.3% of tertiary-level students according to the Outlook. The turmoil created by the Arab Spring has seen many students losing their grants and other means of living, leading to the demise of a significant number of private colleges in the North of England whose clientele are mainly from these areas. My own college, Greys, is fortunate in having a slightly wider spread of students, but we’ve felt the impact too, so to see the situation for myself and to find out more about the education and training needs of the region, over the last six months I have travelled extensively to talk to people on the ground and map the changes in thinking by them and the new administrations. Oman and Qatar have many highly-educated young people with degree-level achievement. They have also brought into being a new second tier of learning. It takes the form of accredited vocational training in both private and government supported training centres, closely following UK’s national Vocational Qualification (NVQ) system. Bahrain has also chosen this route and I was part of the support unit helping set up their National Institute for Industrial Training, in 2008/9. From discussions I had with personnel at the ministries of those countries, they are pleased with the results of these programmes but are now aware of the lack of quality assurance within their systems. This needs to be addressed to give students confidence in the national validity of their qualifications. As well as the obvious reasons for this, another factor is that all these countries have historically bought in technical expertise, therefore this type of learning, and the jobs they lead to, are traditionally looked down upon and therefore retain a stigma. Libya has all the assets of its Gulf neighbours but has been in something of a time warp for 40 years. Even those young people who have degrees, and there are many, look to the public sector for employment, the private sector being thought of as inefficient. That said, the major oil companies have well-established training programmes, designed by themselves to meet their individual needs. The Transitional government is very keen to change this and has already taken steps to support new training businesses. To develop their strategy, they are now looking to build a national framework of vocational training and education to meet the requirements of a growing private economy. The oil companies I think will have a major role to play in this, not least to standardise requirements. Elections are to be held on the 7th July, and from sources within the administration, it is clear that although routes to higher education will still be supported, the main focus will be vocational training to provide that depth of opportunity for all. All sections of the political scene have this on their agenda, as like their Gulf neighbours, they understand one of the major gains will be a sizeable reduction in youth unemployment. The only option until now after leaving full-time education, was for Libyans to go on to university and gain a degree, which largely limited opportunities. The other gain is less tangible although no less important. That is the sense of freedom for students to achieve the things they want to, make a living, and enjoy a good life. 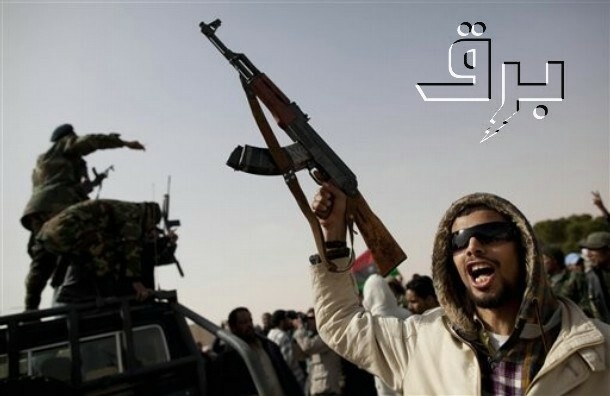 The situation in Libya is changing, and although, like Egypt, still volatile, an acceptance that change will take some time is growing, but lots of people want to see some immediate results, a sort of image of things to come. Any government will have to balance the level of quick fixes to long-term improvements in daily life if they are to lead their country to lasting prosperity. One of the first things they may do, is form a government-sponsored training organisation, as has happened in some of the Gulf States. This could then be a springboard to contract with a range of suppliers, looking to gain high-quality training and education at a realistic market price. This mechanism can also be used to develop training around the country, producing tangible evidence of improvement and fairness. It’s too early to say yet, and after the elections things will become clearer, but setting national standards of work will probably become an issue. Presently, as in the UK 50 years ago, the larger companies, which here means the oil companies, have their own training standards. Engaging these organisations in the process of unity would need to be a first step. One major oil company has already asked me to examine the UK training system for their industry, which would suggest they are at least open to change. Libya has huge tasks ahead of it although none insurmountable if they are patient. But, with many people in positions they have never held before, education and training will, of necessity, be at the fore.